By now, we’re all aware that the campaign-centric model of marketing is over—at least, if you want to be a company that remains viable and visible in the minds of consumers. 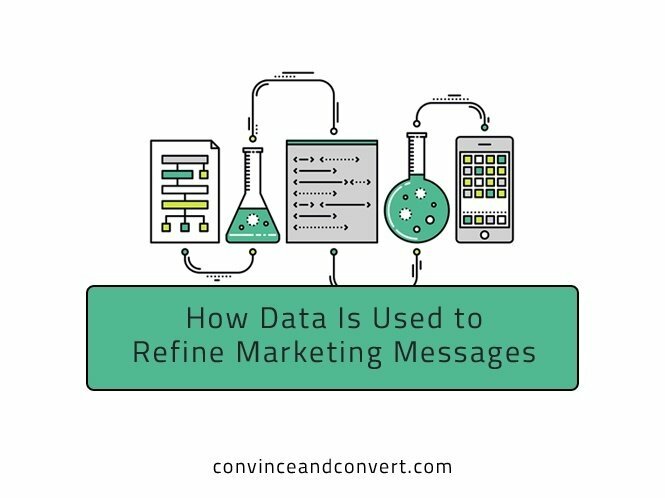 Instead, most of us are using data to inform our campaigns and listening to our consumers on a regular basis. Or at least we should be. If you were using the traditional campaign-centric model, you’d take a lot of time to prepare everything. Then you would launch your campaign—with an overarching theme based on an outdated “brand model”—and the campaign might last for a number of weeks, depending on how much money you had to spend on it. Then you’d probably go absolutely quiet until the next campaign. Crickets. Even worse is the fact that the campaign model wasn’t applied to marketing alone. Companies used to do this with everything, including product development. A company would focus on innovating one or two products and spend a lot of time researching those products. Then, they would launch those products and go stagnant for a while. With the tent pole model, you never stop communicating and never stop listening. It’s a continual back-and-forth with your customers, with the occasional “tent pole” popping up: any big initiative, new product launch, or new service that you need to break out of above the rest of your communication. It’s called a tent pole for a reason: instead of no activity in between major promotions, it just droops a bit to a persistent lower level. If we look at some of the tech companies out there—Google, Facebook, Twitter, and so on—we can see that they’re constantly listening to consumers and adjusting their products or services depending on what their customers like and want. They never stop communicating. They definitely never stop listening. Here’s a great example: Gmail. For a while, Gmail users had been clamoring for a button to undo an email they had sent. It’s a great feature request—there are plenty of times I wish I didn’t send a particular email. Before too long, Gmail added the feature, and everyone was instantly happier. Not too long after this, Facebook decided to roll out their version of a “dislike” button. We’ve all seen pictures and news stories of injustice or tragedy on Facebook, and if you want to acknowledge this, then a “like” button doesn’t feel like the appropriate action to take. Facebook Reactions will allow users to express more than one type of emotion through additional buttons under posts. They listened to what the people wanted. Both Facebook and Gmail changed their platforms as a direct response to customer needs. You may think this is easier with digital-based products—and you may be right—but brands in other industries must at least be open to learning from tech companies. Nike learned. They invented their Nike ID program, allowing a customer to customize almost any of their shoe models in thousands of different ways. If we move away from campaign-based thinking toward having a dialogue with customers, we have to be ready when a conversation bubbles up. This means we need to be creating segments and subsegments of customers to monitor, so our teams will notice when a particular issue keeps popping up. By segmenting, you have the benefit of identifying issues quicker, and you’ll be able to respond quicker. If it’s an “unsend” button on their email service or a product line change, those who are listening need to be able to take action. They have to be respected enough to be allowed to do so. This is where marketing team members start to be viewed more like customer service experts and drivers of new research and development. They’re now on the front lines of understanding what consumers want. Through data, they can prove that there’s a significant interest in a new product, service, or feature. Then comes the next key step: they actually have to deliver on change for the consumers. The prevalent idea about branding is that a “company” is a functional thing—offering products and/or services—but a brand is an added layer of personality or tone: something intangible that creates an emotional connection with the consumer. You can have two products that are exactly the same, but if one has a good brand around it, then it suddenly has more value to the consumer. This is true, but simply communicating tone or personality is not enough anymore. Today’s consumers are too smart for that. They’ve grown up in these extremely branded worlds. Teenagers and millennials are branding themselves on YouTube, Instagram, Snapchat—you name it. People are using the term “brand” to describe themselves because people today really understand the power of a brand. For companies and organizations to brand themselves successfully, they have to go far beyond having a tone or personality and consistently portraying it. The way to build a connection with these extremely brand-savvy people is to go above and beyond. Brands have to provide new and relevant services. They have to get into deep conversations with consumers. They have to create experiences with people. They can’t just project an image and attitude anymore because people will see through it. Listen, respond, and then meet their unmet—and often unspoken—needs. This new way of brand building doesn’t happen just by creating new products and services in response to what you’re hearing, either. For instance, maybe people can’t find your customer service number, so they reach out via social media—and you have to respond quickly. Maybe a lot of people don’t understand a certain feature of a product, so you have to chat with them in a personable, direct way. Maybe they think your car is cool, but they don’t know how to put a baby’s car seat in it, so you create a video to show them. The needs of consumers are infinite. It’s a marketer’s job to understand those needs, respond, and act. Listening allows companies big and small to personalize their responses and relationships to customers by meeting them where they are and anticipating their needs. They can surprise and delight customers, and they create value through extraordinary company-to-consumer experiences, not through branding. A great example of a successful company tweaking its message, product, and context based on data comes from Bodyform. Bodyform is a feminine hygiene product company. In the past, they had always branded themselves in the traditional way: campaigns filled with images of women running on the beach with the wind blowing through hair. The message was always along the lines of, “Everything is great. Life is wonderful, so get out there and enjoy it. With Bodyform, you can do whatever you want without worry.” Most people saw through it. It was over-the-top and sappy. Then one day in 2012, a man wrote to Bodyform on Facebook. A clever, cheeky Brit, he composed a jovial essay of a post telling Bodyform, “You lied!” He went on to say that Bodyform said that when his wife was having her period, everything was going to be fine. She would be herself—same as always—and life would be pleasant, wonderful, and beautiful, complete with her running on the beach and horseback riding. His post was hilarious on purpose, and his main message was pretty simple: Bodyform’s ads and commercials are obviously not based on reality, and certainly not the reality of the women in his life. As you might imagine, this post went viral—it got a lot of traction in social media. Bodyform responded brilliantly. At the time, they had an agency that was paying very close attention to what was happening in social media around the brand. In that moment, they realized the tone the company had for its brand was completely wrong. It was an outdated way of talking about themselves. This man—being funny and cheeky about his wife’s period—was getting more traction than any of their traditional brand communications. Within two days, the agency and Bodyform made a film in reply to this man’s post. In the film, the supposed CEO of Bodyform responds in cheeky kind. She admits that they have, indeed, lied to the public—that a woman’s period is actually not a wonderful time of the month, and things are not always cheery, perfect, and pleasant. But she was, in fact, apologizing to this man for misleading him—and the British public. The reason, she said, was that they didn’t feel the public could handle the truth of what really happens each month. The CEO’s message included footage of men sitting in focus groups watching the reality (that part was off screen!). Their faces showed fear and mortification. While tongue-in-cheek, the response was also real—and it came across very, very well. It won awards because Bodyform was one of the first companies to respond to a consumer in this way. A brand can talk about itself for years a certain way, and overnight, it can change. Just one, well-connected person in social media can disrupt a brand, flip it on its head, turn it around, and throw it off-message. And if Bodyform hadn’t been listening and hadn’t responded? They would have become a joke. The man’s post would have gained more and more traction. Women who used the product might have been tempted to switch to a competing brand. If Bodyform had not been listening, they would have missed the opportunity to make something memorable, which in return won them a prestigious Cannes Lions award. We can gain an edge by listening more effectively than our competitors do. By listening and responding, and by joining in the conversation in a helpful way, we can begin to draw even the most loyal consumers away from brands they have supported for decades. This is happening every day. It’s not just teams of people doing this listening, of course. There’s another entity involved in this process. Let’s say I search for a GE microwave because I’ve always bought GE. It never crosses my mind to buy another brand of small appliance. I’m on Google, and a little ad pops up at the top of the page telling me about a Samsung microwave. All of this was built into one ad because the algorithms could see what other websites I had been to. This is an everyday, but amazing, use of data. Recently, I spoke to a company that has created a system to develop ads that are so customized, only two to three people will end up seeing the exact same message. This is happening more and more, and it’s truly mind-blowing. Even when it’s not other humans sitting at a desk somewhere and listening, it’s computers and systems within computer software. This will have a huge impact—at least for a short while. Then in time, we’ll see straight through those customized ads, too. We’re still at the beginning of a revolution within communications, where every single person can have bespoke responses and bespoke ads to sent them. Your mobile phone will soon be able to talk to a digital billboard, a bus stop sign, or even an image on the side of a building as you pass it. It will be able to say, “Oh! Here comes JR. He has been looking at this product a lot recently. We should serve him an ad right now while he’s walking by the billboard.” Whoever is next in line behind me will see a new ad, personalized to them. What once seemed only possible in movies is becoming a reality. There’s a reason people loved the old way of doing things. It was fun! You could tell your friends and family, “My commercial is on TV,” or, “Look, my ads are in these magazines.” There’s something cool about going to a photo shoot or working on a storyboard for a car commercial, and then going on location with a famous director and celebrity. It’s glamorous. Marketing was the fun part of business. The traditional advertising world is a well-oiled machine. At the time of this writing, however, the UK will be the first market in which 50 percent of the advertising spend will be done in digital spaces. This is a huge shift. From this year onward, the majority of advertising in the UK will be digital, and a lot of digital advertising is automatically adapted for the unique viewer. When you start to see these non-digital spaces try to catch up, their strategies are often along the lines of, “How can we use data to make our service better?” You see newspapers’ websites telling the news company more about their readership by using the data. They could, for instance, use this data to deliver different versions of newspapers to different homes. This is happening in print media, as well. We’re already using data to figure out where to put posters and billboards, for example, because we can use mobile IDs and GPS targeting to see what type of people walk on which streets. The offline world is trying its best to behave like the digital world. The last big switch will be in television. It will become programmatic. When you go to YouTube and search for videos on your computer, you’ll see things that I don’t see because the data signals are serving you ads that they “think”—algorithmically speaking—will resonate with you. Not too long from now, our TVs will be so digitally connected that they’ll do the same thing. I’ll be watching CNN news, and you’ll be watching CNN news, even at the same time— but when the ad break happens, I’ll be served a different set of ads that relate to me, and vice versa. What does this mean for our society? It means that people are going to be living very different experiences, even though they may be right beside each other. People are going to believe that they’re operating in a world that’s like them. Every time you go on a computer or on your phone, every time you watch TV, every time you walk by a digital billboard, every time you get your newspaper enhanced by data, you’ll be getting a catered experience. For now, however, let’s come back to the present and focus on what we can do to listen and respond more. We’ll start worrying about the potentially dystopian future of ads when it arrives—which will probably be sooner than we all think. JR Little is a top media professional with over fifteen years experience in marketing and advertising, across multiple sectors with a wide range of Fortune 500 companies. From technology to finance to healthcare to consumer goods, JR has helped to shape and develop the messages and brands of some of the biggest companies in the world. He's found his niche in helping companies to adopt a data-centric (rather than brand-centric) approach and by listening to consumers to intimately understand and consistently meet their needs and desires.